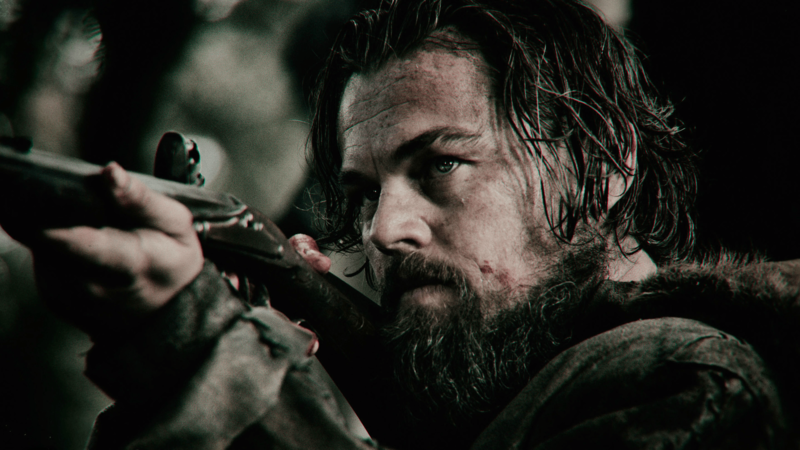 Learn more about the man Leonardo DiCaprio is set to play in Martin Scorsese’s next movie. Leonardo DiCaprio has never been afraid to suffer for his art. He slept inside an animal carcass and ate raw bison on The Revenant, keen to experience the same anguish as his real-life subject Hugh Glass. Quite how DiCaprio plans on getting into the character of H.H. Holmes, however, is another matter. Born Herman Webster Mudget to an affluent family in Gilmanton, New Hampshire on May 16 1861, his parents noticed he was different from an early age. Said to have been noticeably intelligent but something of a loner, Herman’s obsession with death manifested itself through an early interest in medicine. He would practice surgery on animals and, some have claimed, his morbid fascination even resulted in the death of a school friend – though nothing was ever proven. Something of a scam artist in his early adult years, the spectre of death was never far from Mudget’s side. As a medical student at the University of Michigan he regularly stole corpses from the nearby morgue using them insurance scams and even his own experiments. Then there were the strange coincidences that saw Holmes named as the sole beneficiary in the life insurances policies of female employees who passed in mysterious circumstances. By 1886, and amid rumours of his involvement in the disappearance of a little boy, Mudget moved to Chicago, Illinois, and assumed the identity of Dr Henry H, Holmes, finding work in a local pharmacy that he was soon running after the owner mysteriously took a leave of absence. Using a variety of constructors, many of whom were fired at random to ensure no one got wind of his grand plans, Holmes built a genuine house of horrors, full of elaborate rooms home to any number of devices capable of killing. As many as 51 doorways opening to brick walls were included along with some 100 windowless rooms and staircases leading to nowhere. There were gas jets to asphyxiate, sealed rooms to suffocate, trap doors to send victims crashing to their death and furnaces for burning. The Murder Castle Where H.H. Holmes committed his crimes. 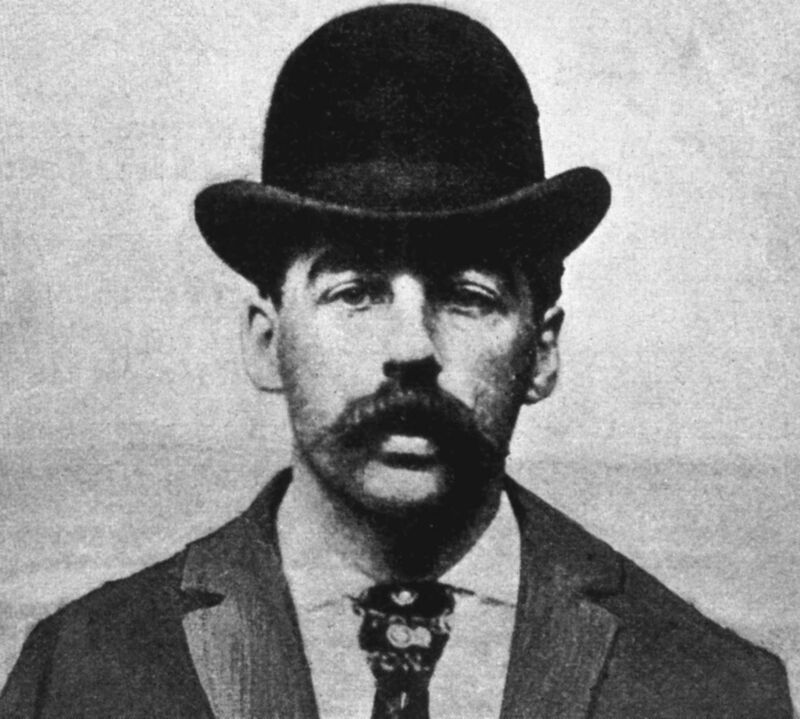 Over the years, the Murder Castle took many victims, yet it was during the 1893 Chicago World’s Fair that Holmes truly established himself as America’s first serial killer. Setting up his home as a hotel for visitors in Chicago, guests arrived but rarely left, either seduced or swindled before their untimely death. His obsession with anatomy again came into play with Holmes allegedly selling the skeletons of his victims to local labs and schools. Some even claimed he recruited an assistant to help him through the gruesome process of stripping the flesh off his victims’ bodies before dissecting them ready for medical use, with whatever remains were left broken down by lime or acid. Holmes was soon on the move, heading to Texas where he teamed up with assistant, Benjamin Pitezel, who made the fatal mistake of trusting Holmes. Convinced by Holmes to fake his own death in a bid to collect a $10,000 life insurance police. Rendered unconscious with chloroform, Pitezel was burned to death with Holmes going on to kill three of Pitezel’s children in a bid to cover his tracks. Along the way, Holmes had found time to marry three times and father his one and only son, who was soon abandoned in the wake of events in Chicago. H.H. 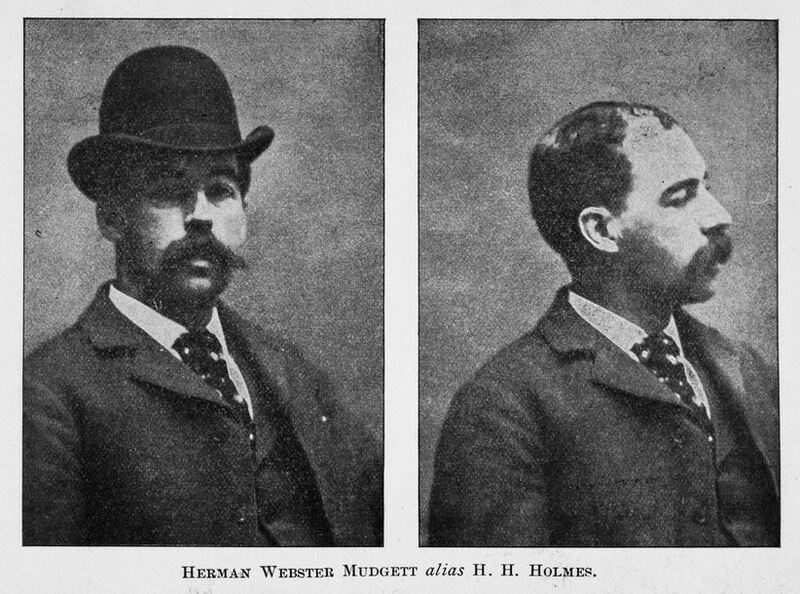 Holmes At the time of his arrest. Yet it wasn’t until a meeting with fellow outlaw Marion Hedgepeth that Holmes came unstuck. While briefly behind bars for another minor crime, Holmes had struck up a deal with Hedgepeth to run one of his famous dead body insurance scams. But when Holmes refused to pay up, Hedgepeth went to the authorities. Quizzed on where he obtained the body for his latest insurance con, Holmes claimed to have had it shipped from New York to Philadelphia, where he was based at the time and preparing to flee. However, the Pinkerton detective in charge was smarter than most. Noticing the body uncovered was in full rigor mortis, he realised the victim must have died recently. They soon turned their attention to the Castle in Chicago , uncovering all of the horrors inside. Having been arrested for the murder of Pitezel and his children, Holmes went on to confess to some 30 murders, though experts suggest the figure stands closer to 200. Sentenced to death, his final request was that his body be buried 10 feet under and encased in concrete, to prevent grave robbers from stealing his remains. In the headlines H.H. Holmes is outed to the press. 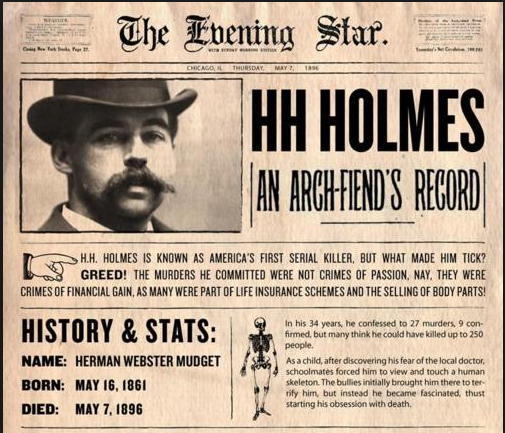 Holmes request was granted and on May 7 1896, the life of America’s first serial killer ended. The true horror and mystery of the Murder Castle remains though. 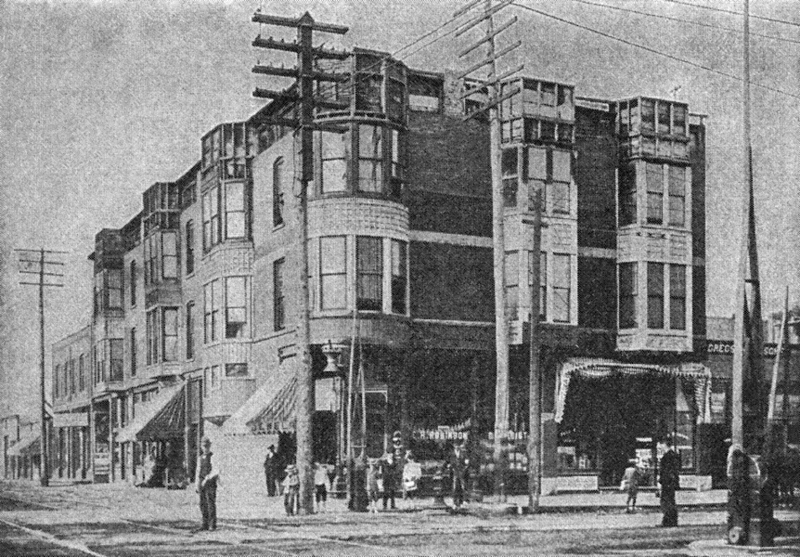 Having employed a caretaker in Pat Quinlan, the final individual connected with Holmes evil acts died on Mary 7 1914, afer taking strychnine, taking with him the last secrets of the “Beast of Chicago” with him. Holmes remains may have stayed untouched ever since but Martin Scorsese’s film, based on the book Devil in the White City, could be about to dig up even more shocking revelations from one of the darkest chapters in US history.